“The Falcon in the Barn” is here, and so are free magnets! And to thank you for your patience and support, I’ve got a freebie for once! Magnets! Each measure 2 inches by 3 inches. Not big enough to cover your entire fridge, sorry. 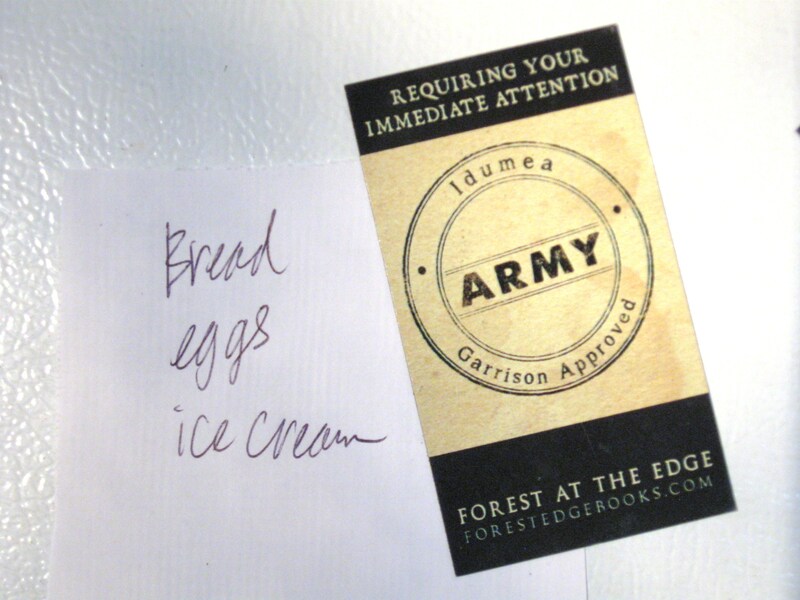 I HAVE to get ice creaml The Army of Idumea requires it! 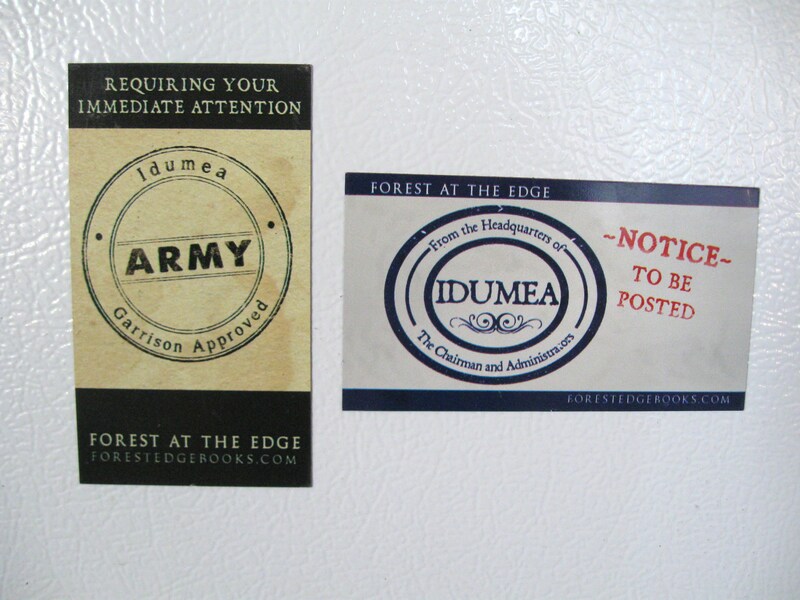 I’m the practical sort, always needing new magnets for important messages on my fridge, and thought it’d be fun to have the Administrators or the Army of Idumea reminding me that I needed bread. I’ve got several pairs to give away–you get one of each–and all you have to do is let me know. Fill out the contact form below telling me “Want magnets!” and I’ll get them into the mail to the first 20 people requesting them. Look how stylish they are on my fridge. They can be on yours, too. And now, to get to work on Book 5 . . .
← New cover for “Mansions,” and here’s the cover for “Falcon in the Barn”! I just finished book 4 and can hardly wait for #5 ! I read the first 2 quite a while ago on my Kindle and loved the series. Decided to try kindle unlimited for the 30 day free trial and found there were 2 more books and was soooo excited to have more to read on the Shin family. Thank you for such an enjoyable series. Am I the only one who felt sorry for Lemuel Thorne. I felt if Shin & Zemos had just taken him under their wing as it were, or put some time into it, he could be redeemed. As it is, even without it felt like he came so close to redemption himself, but just couldn’t escape from the bonds of his childhood. 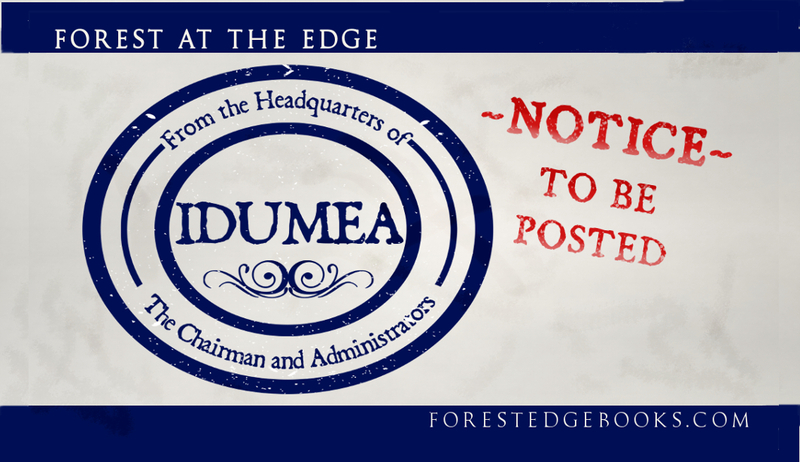 Oh, Doug–you are so on target! Trying to avoid spoilers here, but yes–quite often who we see as the villain really just needs guidance. 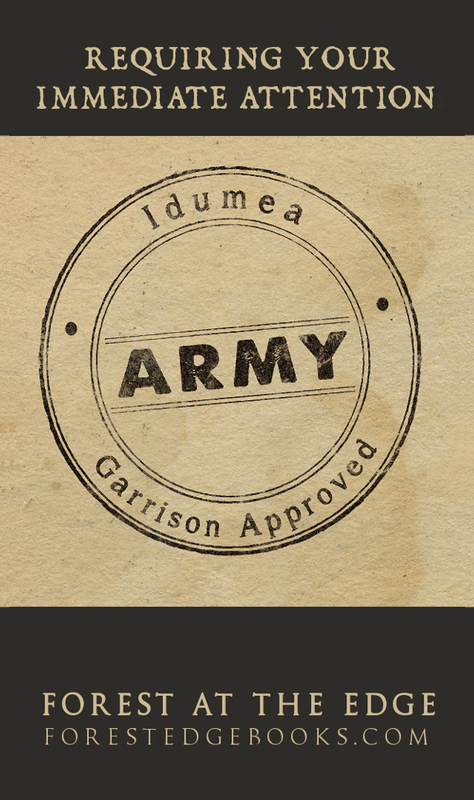 With his upbringing, Lemuel doesn’t know what else to be, but everyone can still be redeemed. It may take time, though . . .
You haven’t seen the last of Lemuel, and I’ve got book 5 entirely drafted, just going through the revising process now which takes me as long as drafting. I’m hoping to get this one out a lot faster than book 4, and since I’m quitting my other job this week, I should finally have a bit more time to work on it. I’m so glad you enjoyed book 4! I’ve been anxious to get it into everyone’s hands since it answers so many questions, then presents many more. Just finished Falcon in the Barn… and WOW. Questions were finally answered… and now leaving us with a cliffhanger. But seriously, take your time, as… Wow.. Falcon in the Bard really blew me away. Bought my copy as well. Time to start from Book 1 again to make sure I remember everything. Bought it! I’m glad it’s finally here! Thank you!